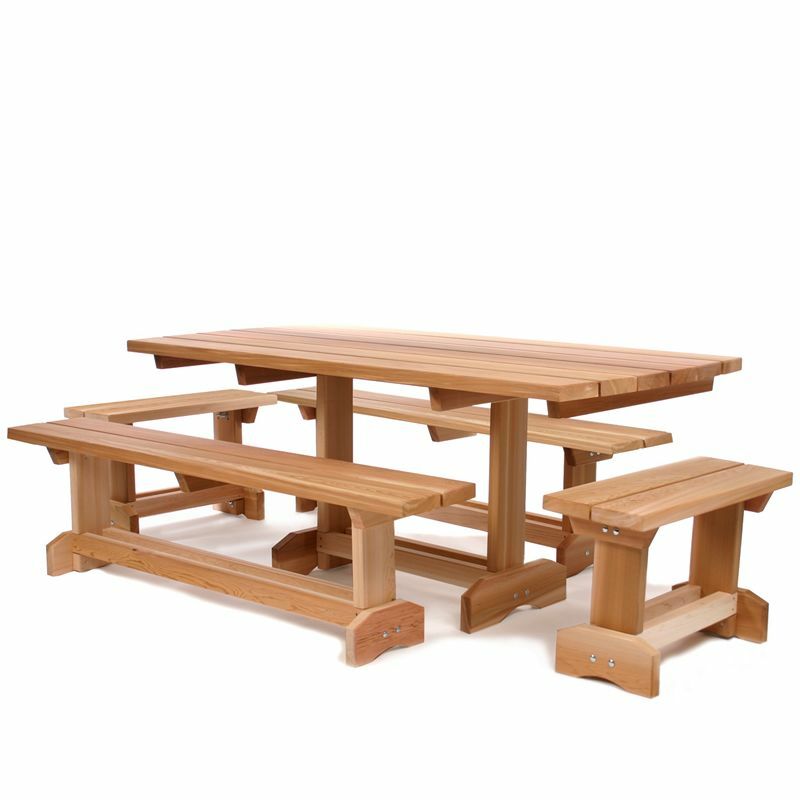 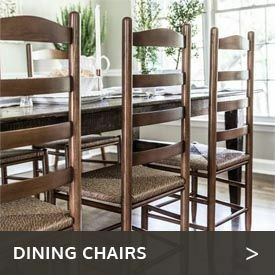 Capable of seating eight to 10 people, the Western Red Cedar Wood Picnic Table Set Kit from Cedarwood Furniture is perfect for big families, barbecues, parties and those who want ample dining space outdoors. 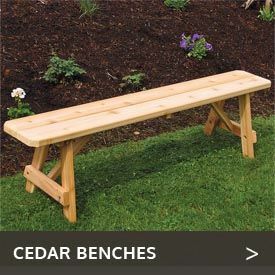 Choose from a three-piece kit with one 70” x 33” table and two 69” benches or a five-piece kit that includes these pieces plus two additional 34” benches. 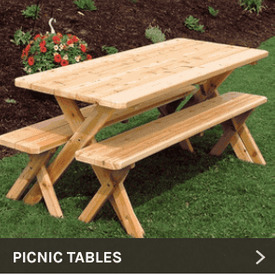 Either way, you will get everything you need to put together a picnic table and benches that will provide years of dependable service. 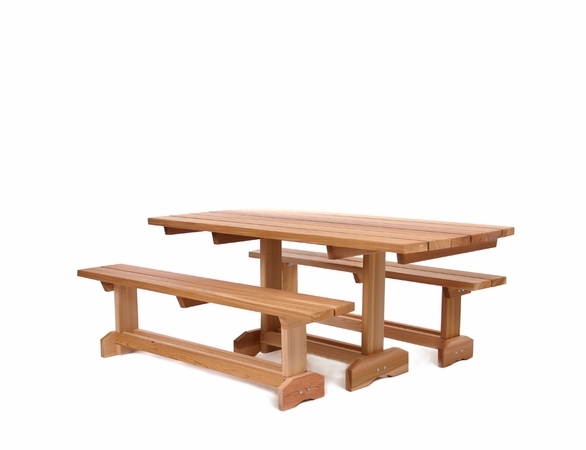 With the 3 piece kit, you will received (1) Table kit and (2) 69" Bench Kits. 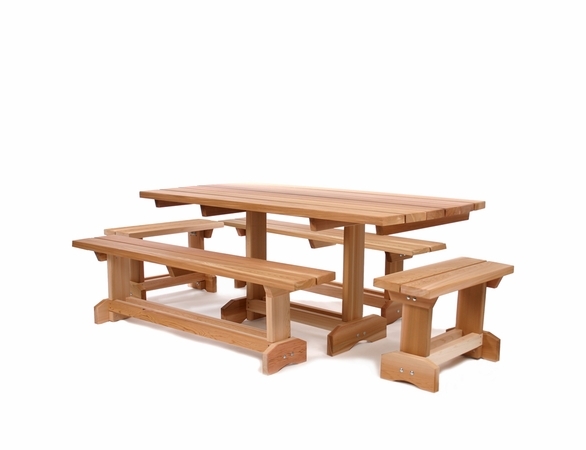 With the 5 piece kit, you will receive (1) Table Kit, (2) 69" Bench Kits and (2) 34" Bench Kits.